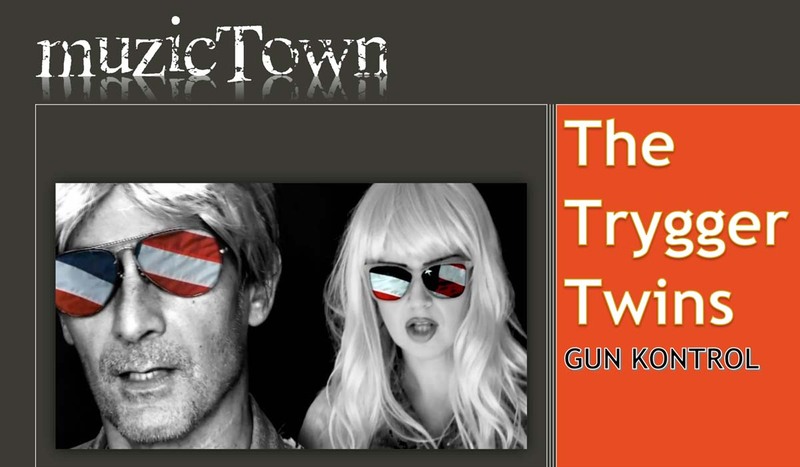 This interview with The Trygger Twins originally appeared in muzicTown online magazine shortly after the release of the Twin’s single, GUN KONTROL. The music video for the track was directed by Boone Welles who not only happens to be my cousin but is in Tryxxi’s yoga class. I know Gun Kontrol is a hot-button issue but I think I can say without familial prejudice that Boone has really put her finger on it. Awesome to see the Trygger Twins back in action! Love the music as always!